High quality transitions make the changeover from one element to another in any layer tasteful. Powerful importing tools including a text reflow editor that allows you to edit slides as easily as editing text in a word processor. 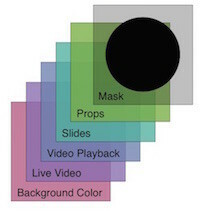 Build slides with a variety of elements, including: shapes, text, graphics, videos, live video inputs, and even HTML5 web pages. ProPresenter 6 adds dynamic alignment guides and the ability to set the opacity of each object on a slide, as well as individual slide object builds – all in an intuitive, easy-to-use interface. Planning Center Online™ integration allows for the importing of service plans, and automatically linking of service elements to ProPresenter documents. Our scripture engine, which gives you access to dozens of Bible translations in a variety of languages can create slides dynamically with a variety of options. Ensure that the lyrics you present are correct by importing lyrics for your worship songs from CCLI SongSelect directly within the ProPresenter interface. The Renewed Vision Media Store within the software helps you easily find content for your services. 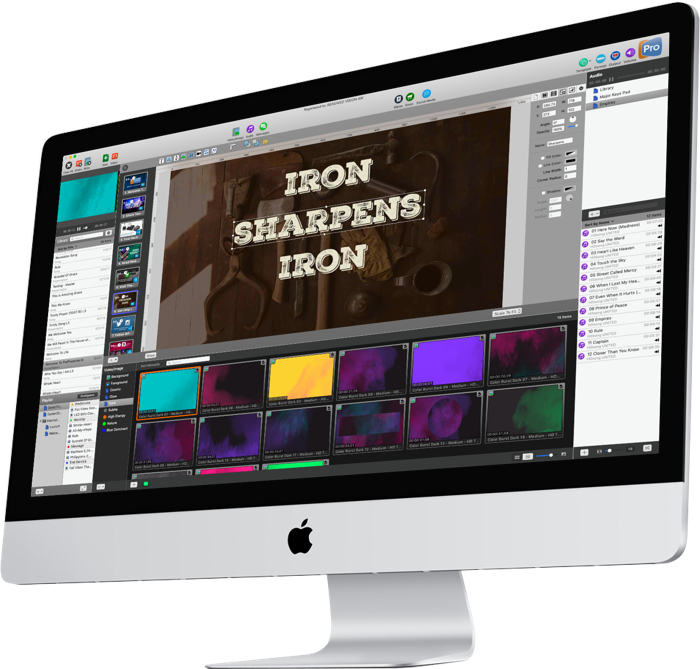 Partnering with Worship House Media, a leading content aggregator for houses of worship, provides a large variety of content suitable for our worship software customers. Hot Folders facilitate getting content into the software quickly – as files are added to a folder, they automatically appear in ProPresenter. New media tagging features allow you to create groups that automatically show imported media tagged for those groups. 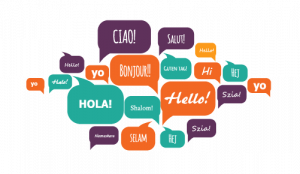 ProPresenter is also localized in multiple languages, – including English, Spanish, Korean, and Portuguese – so that you can make use of these tools in your native language. 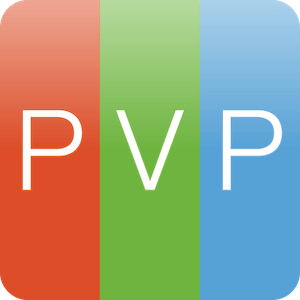 Integration with Renewed Vision’s ProVideoPlayer (PVP) product via text stream let’s you stream your formatted text slides over a local area network for rendering and manipulation by the PVP graphics engine. In addition, ProPresenter 6 offers Syphon support, which allows you to share ProPresenter’s output with other applications dynamically. Control or be controlled with industry standard production protocols (via the optional communications module), including video standards (AMP, VDCP, GVG100), lighting (DMX over Artnet), and MIDI. Mobile tools include an iOS/Android remote so you can control ProPresenter from anywhere in the building (including new social media moderation tools), and the Stage Display app let’s you have as many stage display outputs as you have mobile devices. ProCloud enables you to synchronize an unlimited number of machines over the internet; providing excellent workflow to edit on one machine and present on another. ProPresenter let’s you take the content you create elsewhere with exporting support for text files, JPEGs, PNGs, and output video recordings. More and more often, productions are involving their audiences in their content. 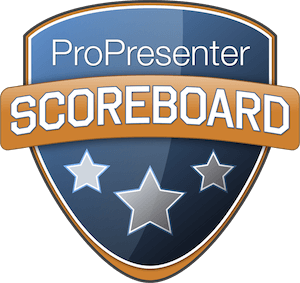 ProPresenter offers some incredible tools to make this easy and effective. 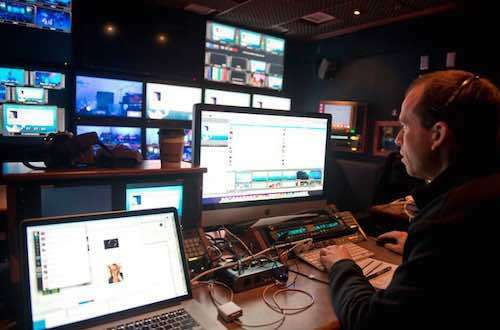 ProPresenter 6 can curate and display Twitter posts. Multiple keyword searches let you find the content you desire, and new tools give you the ability to save your moderated entries. All social media feeds are all moderated right within ProPresenter, or from within the optional ProPresenter remote app. If you use third party tools for taking polls or desire to show content on the web, you’ll appreciate the new Web presentation tools in ProPresenter, including the ability to show web pages as objects within a slide. We’ve also created a special web-server right within ProPresenter to allow people on your team to send messages directly to ProPresenter from anywhere to make it easy and more timely to create and show parent notifications or other messages.